The Terminus – or ‘Termi’ if you’re a local – is a multi-layered hotel and mostly wheelchair accessible. Not far from Burley Street on Victoria Street, look for the pistachio-coloured art deco pub. Near the Flockhart Street entrance there’s access to the ground-floor beer garden — from here you can get access everywhere but a small step-down bar at the rear. There are some interesting angles: metal posts holding up a courtyard roof, zig-zag timber flooring and synthetic grass stripes across the floor. The beer garden is big, light and green. Timber and metal tables and chairs are mostly at a good height, but don’t expect someone to move then for you – they’re fixed to the floor. 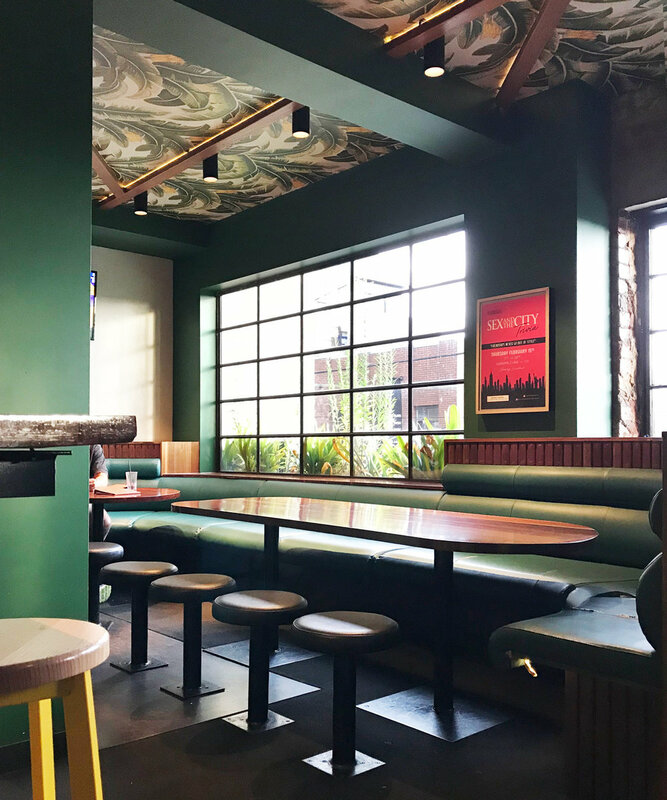 The front bar has a polished pub feel – cream and green tiles, traditional café chairs and a few booths. It’s clean, considered and comfortable. The main bar is furnished with bar stools and a fairly predictable selection of tap beers. If you can transfer out of your wheelchair, the booths are well-padded and cosy. Otherwise, take a place at one of the traditional small tables. Sports are on the TV and trivia awaits if you choose the right night. Upstairs is a more contemporary bar and mezzanine. This would be a suitable spot to settle in for cocktails and share plates. Comfortable padded corner couches are set against the wall where you can watch as punters eventually make their way to the dancefloor. Up here is live music and a late-night vibe. 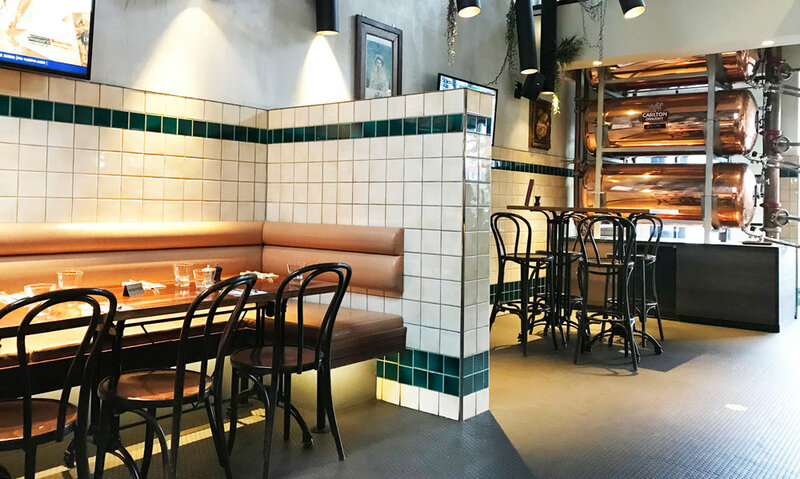 Unlike sprawling warehouse-style bars, this boozer has small, cosy spots to relax in. We like the lush greenery and Miami/art deco aesthetic. There are two accessible toilets; on ground level and level 1. It’s the kind of place you might want to settle in to after a cosy counter meal. Not so: You might need to have the Flockhart Street door opened. Phone ahead.